On this date in 1881, around 3.00 pm, a gunfight occurred which lasted less than thirty seconds. Oh, and for the record, it never happened in the OK Corral but on Fremont Street. Well, that’s history for you, always getting in the way with facts and verifiable evidence. I mean, who wants to read about a gunfight on Fremont Street? So we will bow to pressure and call it the OK C orral. Anyway, this gunfight has become the subject of books, movies, and innumerable stories. But it’s the treatment by Hollywood I want to concentrate on today, and three movies in particular. I want to look at how they helped shape our consciousness, our perspective, and our ideas of what happened and why, regarding this infamous gunfight. 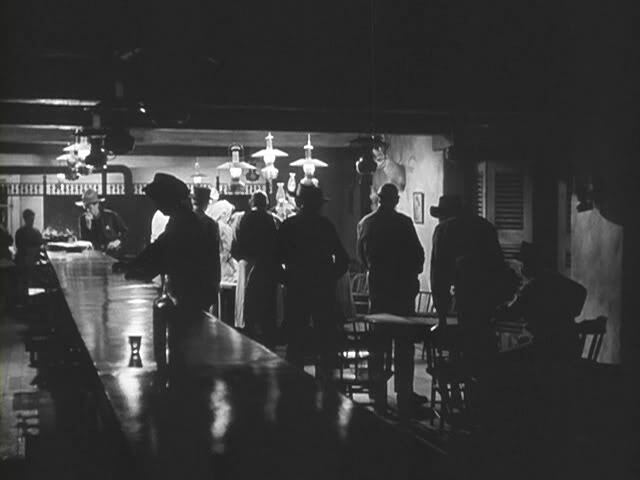 The first movie I want to discuss is My Darling Clementine by John Ford. Ford was a master at romanticizing the Old West, and this movie is no exception. There are many good points about the movie. It looks good for one, but we are talking about John Ford so I expect it to look good from a visual perspective. In fact, I admit it’s downright beautiful. Unfortunately, the dialog and the storyline is little more than corn. The gunfight is okay, but has no relation to any historical event with which we are familiar, and for which we have ample evidence and eye-witness account. 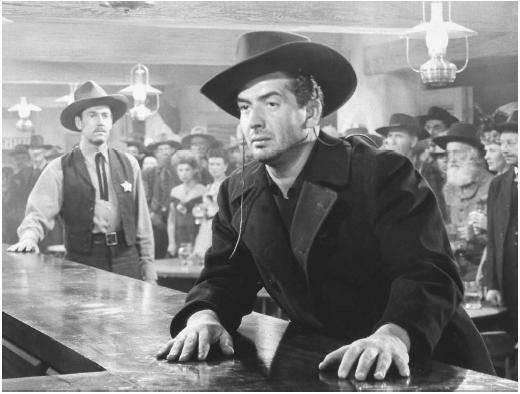 However, the best part about My Darling Clementine is Victor Mature’s masterful portrayal of Doc Holliday. Now in case y0u are not familiar with Victor Mature, he is a big, brawny, beefy man who exudes power and confidence on screen. You might think such a man would be a poor choice to play Doc Holliday, who was in actuality was a thin, skeletal man dying of tuberculosis. Yet, Mature brings deep pathos and vulnerability to the character, even when he has to deliver some very embarrassing lines. Outwardly, he looks nothing like Doc Holliday. He doesn’t even sport a mustache. But the inner turmoil of a man facing a death sentence, and how it affects his relationships with the people around him, is very powerful indeed. It’s a nice job. This is not my favorite OK Corral film, but if you haven’t seen it I think you will like it. Pay attention to Mature when he is on screen. He really is amazing and along with the visuals, he’s the best thing about this film. 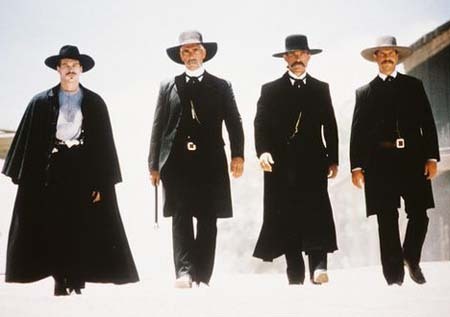 The second film is Tombstone and it’s popular and beloved by western fans and movie fans alike. Personally, I can’t stand this film. I hate everything about it from the opening scene where Wyatt Earp (played by a mugging Kurt Russell) sto ps a man who is whipping his horse (because the script must establish Russell as the good guy) down to the horrific final shot where Earp and Josephine Marcus are dancing in falling snow under lamplight after she reveals to Wyatt there is no need to worry about money because her family is rich. It’s vomit inducing. Not to mention historically incorrect. It is a movie that reveals everything that’s ever been wrong with Hollywood and how it has portrayed the Old West as a cartoon. I will give it a pass on one point, however. The shot of the four lawmen walking down the street dressed in long black coats is iconic — though again inaccurate. Actually, the lawmen wore mackinaws that day. But those long black coats have become so indelibly fixed in the American consciousness I suppose it would be movie sacrilege to remove them. So I tend to give it a pass on that detail alone, as I do other films about the gunfight. As you may have guessed by now I truly hate this film with a deep passion. I should do a separate post on why it fails so miserably on so many levels, and has actually harmed the western genre because it slams so many cliches down our throats. I know I am in the minority here. It wouldn’t be the first time. I know a lot of people absolutely love this film. But it’s pure, unadulterated Hollywood candy. Hell, even Ford did better than this, and I’m not a fan of his work to romanticize the west, either. But, as wretched as Tombstone is, it’s not all bad. The gunfight is pretty good, I’ll give you that. Powers Booth is, well, Powers Booth, Sam Elliot is believable as Virgil Earp though he probably brings too much sexuality and moralizing to the film. But more importantly Val Kilmer delivers a superb, and memorable, performance as Doc Holliday. Much like My Darling Clementine I don’t view Tombstone as anything more than Hollywood corn dressed up in cliche and trope. But Kilmer saves the film for me. If it were not for his amazing performance I would never watch this film again upon pain of death. But it’s worth it to watch Kilmer on screen as long as you ignore the rest of the sugarcorn this movie brings to the table. 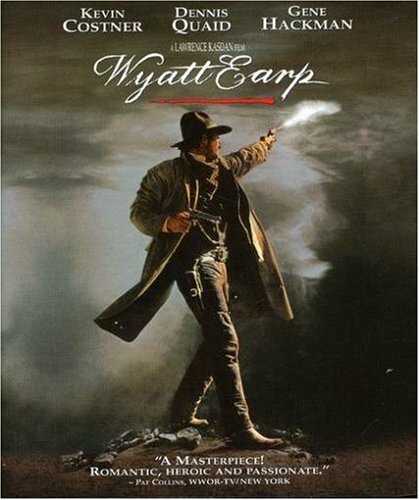 The final film, and my personal favorite, is Wyatt Earp. Kevin Costner delivers a believable performance as a cold, uncaring, self-absorbed and determined Wyatt Earp. This is much in line with the historical figure. Other elements of the story also ring true. The gunfight is representative of historical fact, and the dialog and behavior of the surrounding characters lend extra support. When we watch the events unfolding in Wyatt Earp we can suspend belief and imagine it might have actually happened this way. In the other two movies I have described, we are never able to forget we are only watching something that has been packaged and sanitized for consumption. I know Wyatt Earp isn’t as popular as Tombstone, and I know why. Tombstone is more fun, more joyous, more in line with what we ordinarily see coming from Ho llywood. Therefore it is in a comfort zone that reinforces myth and stereotype which has taken root in American culture. Wyatt Earp, on the other hand, is a little more gritty, and has a documentary feel. That’s probably why I prefer it, even though I am no fan of Costner. But, like the other two films, Dennis Quaid as Doc Holliday is the one to watch and study here. He brings a dark, brooding violence to Holliday that seems to be missing, or at least not fully interpreted, by the other two films. His performance rounds out a strong and believable cast. When I watch this film I am more inclined to believe I am watching history. The other films are entertaining on a popcorn level, but that’s all they are. From looking at these three films I am sure you have noticed a common thread. It’s Doc Holliday. In all three films the actors portraying this broken and violent man did a tremendous job. I think that’s important, because a film about the OK Corral almost has to have a believable Doc Holliday or it would totally collapse. This is not unusual with film, and stories on film. In a completely unrelated genre the film Frankenstein and The Bride of Frankenstein would collapse if the creation scenes of the monsters were not believable. Sometimes, a single scene is like a linchpin for an entire movie. In movies about the gunfight at the OK Corral that linchpin is, and always will be, Doc Holliday. He is larger than life, he is tragic, he is a character we can understand and sympathize with, even if we don’t get on board with his reckless violence and focused pursuit of death. All three movies are flawed. Neither one is perfect. Each has their own strengths. But all three have one thing in common: excellent portrayals of Doc Holliday and the inner demons that made him tick, and kill. For a western writer working in the genre, that right there is worth the price of admission.